The international adoption process in Ukraine is quite a bit different from that of other countries. First, Ukrainian law does not allow pre-identification of children for international adoption. In other words, unlike other countries, you will not receive a child referral before traveling. Instead, you will be invited to travel to Ukraine after your dossier and paperwork have been received and processed. Once in Ukraine, you will be shown several children to choose which child to adopt. The State Department of Adoption and Protection of Child's Rights (SDAPCR), a part of the Ministry of Social Policy of Ukraine, is the only legal Ukrainian authority for adoptions. It maintains a database of children available for both domestic and international adoptions. SDAPCR is involved in the international adoption process from the moment prospective parents apply for registration until an adoption hearing is held in court. 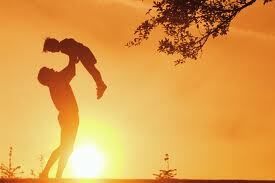 It has a policy of maintaining direct contact with prospective adoptive parents. Applying parents must send their documents directly to SDAPCR, which will communicate with facilitators only after an application is filed. Translators or interpreters are not available, which means that callers or visitors have to speak either Russian or Ukrainian, or have their own interpreters. From a procedural viewpoint, prospective parents must first register with SDAPCR, which processes the submitted documents and enters them into the database within ten days. Once an application is approved, the prospective parents will receive an invitation to visit SDAPCR. When adopting parents arrive in Ukraine, SDAPCR representatives show them information about orphans available for international adoption within the parents' specified age range. Then SDAPCR issues a letter of referral to allow the prospective parents to visit certain orphanages to meet, select, and establish contact with a child. It is important that a Ukrainian child can be adopted by a foreigner citizen only after the expiry of one year's registration period in the child's adoption database. Once SDAPCR issues permission for prospective parents to visit orphanages, parents may go and meet a child, check medical records, and establish personal contact with a child. After prospective parents identify a child they wish to adopt, the file for the case is presented to a judge in the region where the child is from. (Note: The power to approve or deny an adoption rests solely with an individual judge.) The judge's decision to approve (or deny) the adoption is based only on a review of the documents pertaining to the adoption. The judge's decision usually is announced and issued on the same day as the hearing, and adopting parents must attend the hearing. However, unless the judge grants an "immediate execution," the decision does not take effect for one month. (Such waivers are granted only when there is clear evidence that a delay could endanger the child's health.) During this one-month period, the adoption can be appealed. Once the decision takes effect, the new adoptive parents are granted parental rights and legal responsibility for the child. There will be NO fees except those for court filing, notaries and translation and similar services. The only adoption organization that can legally show you pictures of available children is SDAPCR, located in Kiev, Ukraine. The only adoption organization that can legally give any information on the children available for adoption is SDAPCR, located in Kiev, Ukraine. 1. Application to adopt a child (notarized) must contain names of the spouses, country of residence, contact information, number and age of children you want to adopt; this application should be filed personally or via representative (contact info of representative) at 8/10 Esplanadna St., Kiev, Ukraine. 2. Three (3) copies of passport or other identification document. 3. Resolution of the relevant authority of the country of residence on possibility to adopt a child, indicating an address, living conditions (number of bedrooms, availability of facilities for living of a child), biographical data, family structure (number of persons living with applicants, relation type thereof, own children), applicants' attitude to adoption (2 counterparts). If this resolution is issued by a non-state authority, it should be accompanied by a copy of a license for carrying adoption-related activity. 4. Permit from the relevant authority on entrance and permanent residence of adopted child (except countries with visa-free regime for Ukraine). -To file with the above Consulate or Embassy of Ukraine not less then once a year during the first three years after adoption, and once in three years further until the child reaches 18 years of age a report on living conditions and health condition of the child. -To provide the above Consulate or Embassy of Ukraine with the possibility to communicate with the child. -To inform the relevant Consulate or Embassy of Ukraine on change of the adopted child's place of residence. 6. If only one of the couple is applicant – notarized consent for adoption from another spouse. 7. Income (salary) certificates for the last 6 months or copies of income declarations for the previous calendar year, certified by notary or issuing authority. 8. Notarized copy of marriage certificate registered with the relevant authority (two counterparts). 9. Health certificate for each of applicants. 10. Certificate on absence of convictions issued by the relevant authority. 11. Notarized copy of title document for ownership or accomodation right for living premises, with indication of general and living space and number of bedrooms. The above documents are prepared in the applicants' country of residence and are legalized or certified by Apostille (except for copies of passport or other ID) and are filed together with notarized Ukrainian translations thereof. If the applicants are denied, a written explanation is provided. If favorable resolution is rendered, however, applicants are registered as candidates. The favorable resolution is valid during 18 months from the date of issuance. If other documents expire within this term, the candidates must renew them and add to their file. The candidates are provided with the following information about each child available for adoption: photo, name, age, current living and care arrangements (without indication of name and location of the institution), existence of siblings, their age and arrangements, the child's special needs (if any). If the candidates wish to meet one of the children, the Ministry issues a referral, which is valid during 10 days from the date of issuance. During the personal meeting a representative of the Ministry and representative(s) of the child care institution where the child lives should be present. The candidates review the child's personal file, medical certificate, receive information about such child's life, peculiarities of child's development, behaviour, character and recommendations with regard to communication with the child and his/her care. After the first meeting the candidates have the right for further everyday meetings for the duration of the term of referral. After meeting the child, the candidates may apply to the Ministry to adopt this child. The application should be in Ukrainian, with indication of full names and place of residence of the candidates, as well as full name, age and current place of residence of the child (institution), and should be supported by other documents, filed by the institution where the child lives. - drafts resolution on appropriateness of adoption and its correspondence to the child's interests. The child's consent for adoption is given in oral or in written form, depending on the child's age and state of health. The representative of the Ministry confirms the child's consent for adoption and explains to him/her its consequences. If the child's age or state of health does not allow the child to realize the fact of adoption, it is performed without his/her consent. Note that the candidates should appear personally to obtain the final resolution within a month since filing their second application, and file an application on adoption with the court (see step 7) within a month from obtaining such resolution, otherwise it is considered that they refused from adoption. In case of favorable final resolution of the Ministry, the candidates personally file an application on adoption with the court at the child's place of residence. A court hearing of adoption case is held, and if all requirements for future successful child upbringing and development are fulfilled, the adoption right is awarded. Adoption is considered to be granted since entering into force of the court decision. The adopting parents may personally take physical custody of the child ten (10) days after the court decision enters into force. On the basis of the court decision, and the child's old birth certificate, the ZAGS issues an adoption certificate and a new birth certificate. The adopting parents should register the child with the Consulate or Embassy of Ukraine in their country of residence. In addition, the adopting parents should file annual post adoption reports (post placement reports). Significantly, Ukraine does not require you to have post-placement reports completed by a social worker. As a rule, you must register your child within 30 days of returning to your home country. You register your child by filling out a form and attaching a color passport photo of the child. Send this form to the Ukrainian Embassy along with the child's passport. The Embassy will stamp the passport and return it to you. - To register the adopted child with the respective Consulate or Embassy of Ukraine, including the name and full address of the Consulate/Embassy. - To provide the adopted child with the opportunity to keep his/her Ukrainian Citizenship until 18 years of age. - To submit annual reports on the adopted child to the Consulate or Embassy of Ukraine at lease once a year for the first three years after the adoption and once every three years afterward until the child's 18th birthday. - To provide an opportunity to the representatives of the Consulate/Embassy of Ukraine to communicate with the adopted child. - To inform the Consulate/Embassy of Ukraine about any change of address of the adopted child. You will need to submit annual reports to the Ukraine Embassy until your child turns 18. This will keep your child's Ukrainian citizenship up to date. The annual post-placement reports should include a current photo, a brief statement about your child's progress in school, and your child's health.